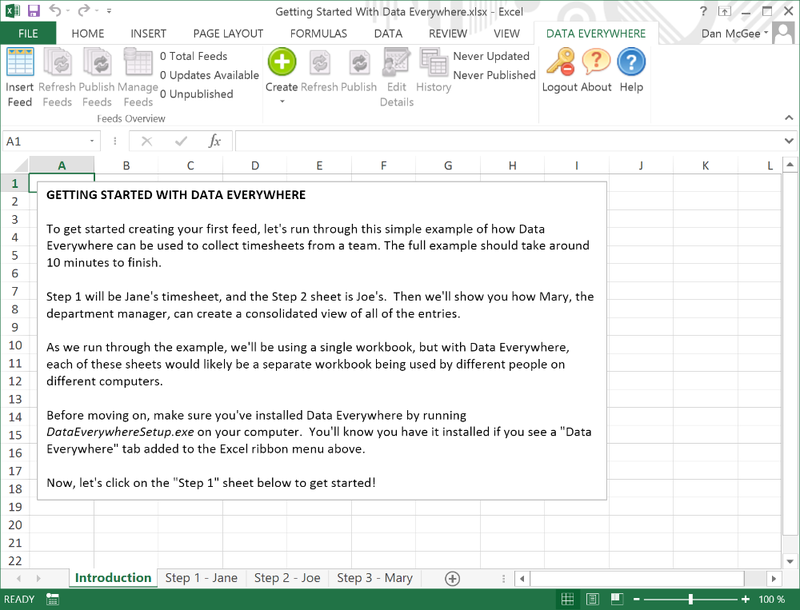 Not sure how to get started with Data Everywhere and our Excel Add-In? Take our getting started example workbook for a spin. It provides a basic introduction and example explaining the concepts and usage of Data Everywhere. The tutorial should take roughly 10 minutes from start to finish and walks through creating feeds, inserting feeds, publishing new feed revisions, and creating a consolidated feed. If you are looking for an introduction to using our Google Sheets Add-on, stay tuned! We're working on developing a follow-along example.